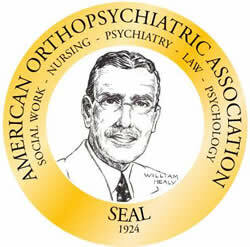 It all began in 1923 when a small group of psychiatrists with a vision of the future launched an interdisciplinary professional association, the American Orthopsychiatric Association, as a common meeting ground for individuals engaged in the interdisciplinary research and practice of human development. The founders blended the prefix "Ortho" (from the Greek "to straighten") with "psychiatry" to convey their belief that thinking in the field of psychiatry was in a "serious rut" and that the impact of societal problems on the well-being of individuals was not receiving adequate attention. The founders organized Ortho around a "simple but revolutionary idea: The mental health of individuals depends on their social context." 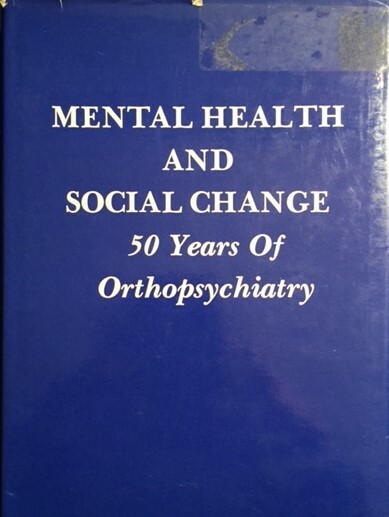 From the beginning, Ortho was a heterogeneous community of individuals drawn together by a common interest and dedication to the study of human behavior broadly conceived and its relationship to mental health service delivery. The membership consisted of "diversely trained individuals -- lawyers, social workers, pediatricians, child care workers, anthropologists, educators, nurses, biologists, economists, psychologists, psychiatrists, sociologists, journalists, and lay people, all concerned about mental health in broad scope." Emphasizing prevention of problems and promotion of health as well as intervention and treatment. Understanding the effects of social factors (e.g., racism, violence, economic depression, war, and other major issues) on the behavioral health of individuals. Recognizing the impact of the broader environment (e.g., schools, faith communities, recreational settings, the family, and other institutional settings) on the behavioral health of children, youth and adults. Promoting the creation and adoption of policies to address issues that affect the behavioral health and well-being of children, youth and adults. Acknowledging the contributions of all disciplines (e.g., social workers, psychologists, psychiatrists, sociologists, educators, and others) to the delivery of behavioral health services and the development of sound policy. Historically, Ortho was at the forefront of new approaches to enduring problems. The Association provided a scholarly platform for new theories and modalities. For example, family therapy, group therapy, the community mental health movement and a variety of initiatives aimed at improving services and treatment for children had their origins in Ortho. Our members have embodied a breadth of viewpoints and perspectives that transcend any single discipline or orientation. Our name has changed but our tradition of focusing attention on the needs and rights of people with little voice in society is as strong as it was in 1923.